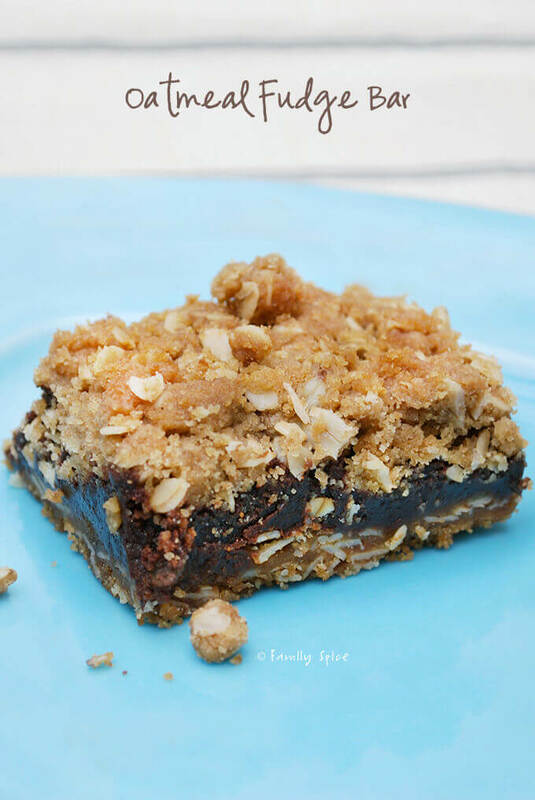 Buttery oatmeal crust on the bottom, crispy oatmeal topping and fudge-like center, there will be nothing left once you serve up a tray of these expresso spiked oatmeal fudge bars. The saga continues with the last few days of school! Today the Professor had a party with 140 other eager fellow second-graders. Even though tomorrow is their last day of school, they got to party it up today. The kids’ menu was easy: pizza, watermelon, lemonade and otter pops. 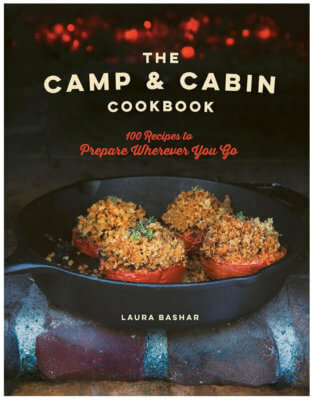 It’s almost summer so this was a great menu. Who would have thought that beautiful San Diego would have a drizzly, cloudy cold day? Needless to say, the kiddos managed to have fun anyway. Now our 7 teachers weren’t too thrilled about cheese pizza, so some of us moms decided to add a little to their menu. 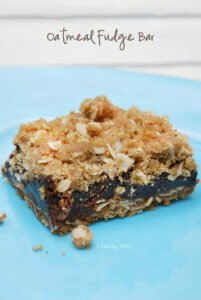 I, of course, dug deep to find this gem of a recipe: The Oatmeal Fudge Bar! Sends shivers down your spine, doesn’t it? You thought the Oatmeal Butterscotch Bar was a find, you’ve got to try this one. On the bottom we have a butter crust of oatmeal, flour and brown sugar. In the middle is the fudgey brownie-like delight, with just a hint of coffee. And on top, a crunch of more oatmeal, butter and brown sugar. It didn’t take long for the mom volunteering that day to start eyeing the fudge bars. Once the teachers had their first-, second- and who’s-counting-helpings of fudge bars and lemon bars (you go, Kris! ), the moms volunteering at the party got to try a bite (or two!). These were definitely a crowd pleaser. They were so popular that my dear neighbor had a sampling and suddenly found the energy to help me clean my awfully messy kitchen. Thank you, espresso! Now, I can’t promise that these oatmeal fudge bars will get all your friends to clean your house, but who cares? They are irresistible! Tomorrow, we’ve got two more parties and boy, do I have yummies to write about then! Adjust oven rack to middle position and preheat oven to 325ºF. Line one 9"x 9" baking pan with aluminum foil, leaving overhang on all sides. Set 1 1/4 cups of oatmeal mixture aside. 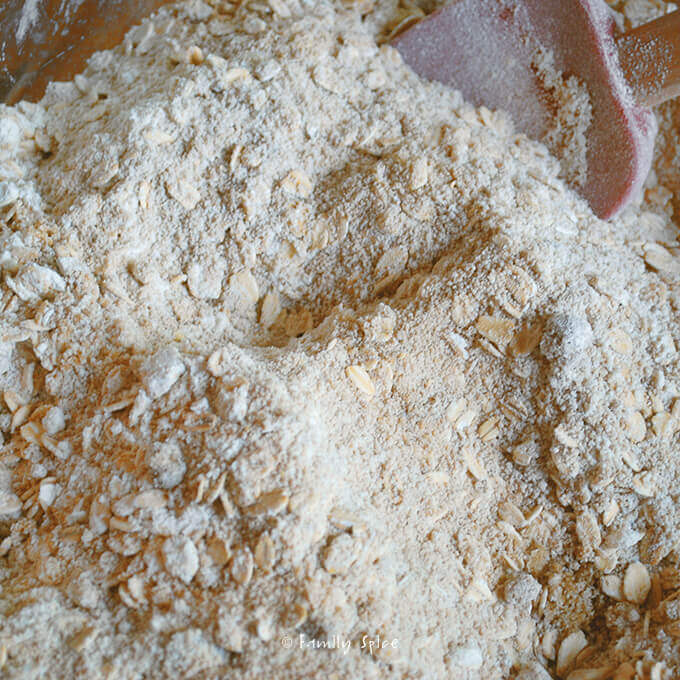 Press remaining oatmeal mixture firmly into prepared pan. Bake until light golden brown, about 8 minutes. Stir and melt again on high for 30 seconds. Continue doing this until butter and chocolate chips are completely melted, making sure you stir the mixture after each 30 second interval. 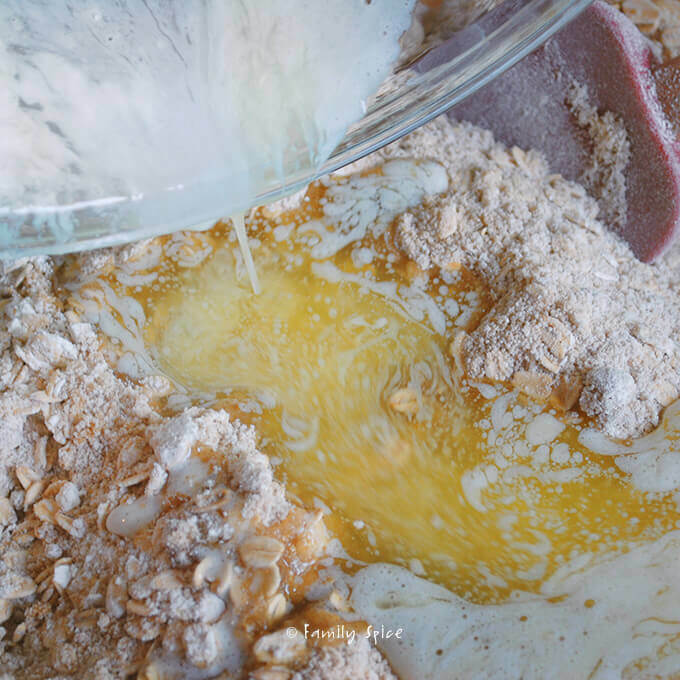 Stir in flour mixture in two additions until combined. Pour chocolate filling over cooled crust and spread evenly. 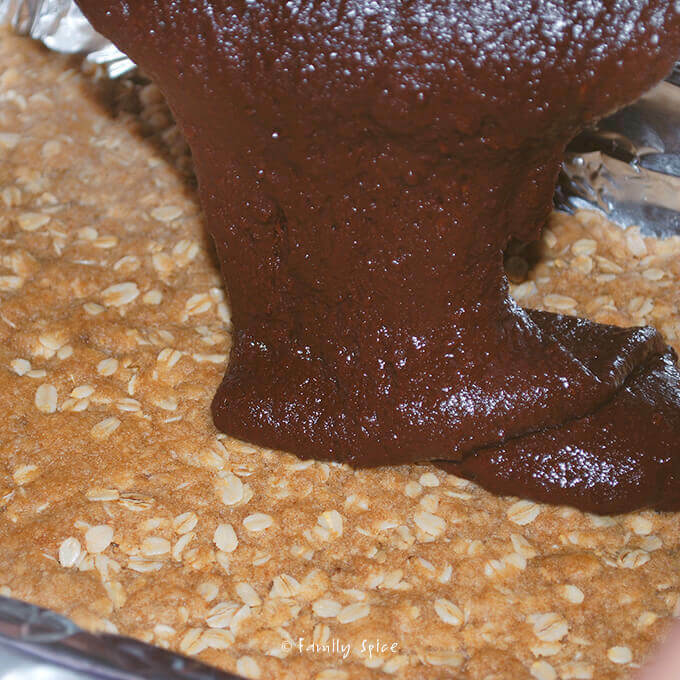 Sprinkle with oatmeal mixture over chocolate filling. Bake until tooth pick inserted in center comes out with a few crumbs attached, 35-40 minutes. Transfer pan to cooling rack to cool to room temperature, for at least one hour. Cut into desired shape. Bars will keep in refrigerator for up to 3 days. 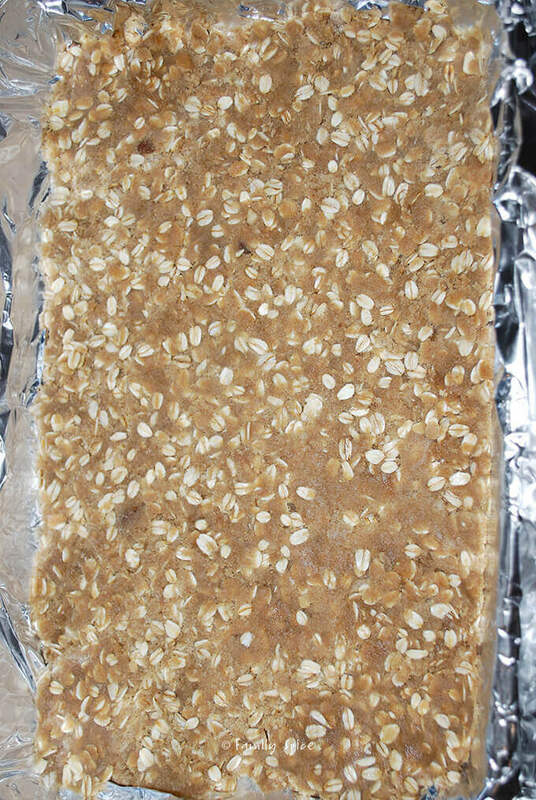 Serving Suggestions: Quick cooking oats will yield a more compact bar. Do not use instant oatmeal.